Today I heard some shocking bleating from a teacher ungraciously defending school snow closures on Radio 2's Jeremy Vine programme. There were others who presented the case more graciously but he had already struck a fatal blow to his cause. It got me thinking of whether clergy should by allowed to moan about their professional struggles. As much as I would never change my job for anything else (unless God tells me to move on), and I see ministry as the ultimate privilege, none the less, not talking about clergy stress is dangerous. So (hopefully graciously) now, I bleat on behalf of my own privileged profession. 13% of active clergy are divorced. 25% don't know where to turn when they have a family or personal conflict or issue. 33% felt burned out within their first five years of ministry. 33% say that being in ministry is an outright hazard to their family. 40% of clergy and 47% of spouses are suffering from burnout, frantic schedules, and/or unrealistic expectations. 45% of clergy say that they've experienced depression or burnout to the extent that they needed to take a leave of absence from ministry. 50% feel unable to meet the needs of the job. 52% of clergy say they and their spouses believe that being in pastoral ministry is hazardous to their family's well-being and health. 70% don't have any close friends. 75% report severe stress causing anguish, worry, bewilderment, anger, depression, fear, and alienation. 80% of clergy say they have insufficient time with their spouse. 80% believe that pastoral ministry affects their families negatively. 90% feel unqualified or poorly prepared for ministry. 90% work more than 50 hours a week. 94% feel under pressure to have a perfect family. It's frightening to learn that in the USA 1,500 clergy leave their ministries each month due to burnout, conflict, or moral failure. Doctors, lawyers and clergy have the most problems with drug abuse, alcoholism and suicide. 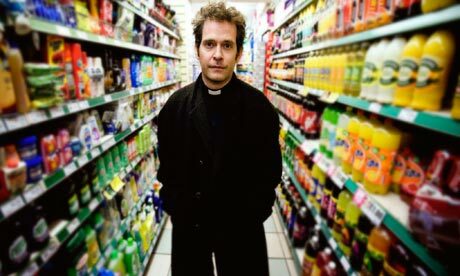 I love being an Anglican Vicar, but back home I'm conscious that there are far many more people ready to criticise and expect more from their clergy than there are to encourage and support. I've seen clergy leaving the ministry and it's often far from graceful an exit. I never understand why clergy are expected to brush off the huge deficit of criticism to praise; they aren't super human, they carry feelings too. And then the 24/7 accessibility to clergy. It may not sound significant, but whenever a small knock comes the way of the clergy they are often under so much pressure that they are swept aside by an avalanche. Each snowflake appears innocent enough but then the subtle accumulation can have hazardous consequences. I've heard it said that one of my predecessors would go and sit in their parked up caravan in their garden to avoid parochial interruptions on his day off. I know how that can feel. Funeral arrangements always come in on a my day off (Monday). We live in a situation where being next door to the church, people think you are the caretaker for the hall: "The vicar won't mind showing us where the bin is." Or "I know it's the Vicar's day off but I'm sure he won't mind if I contact him." Or "I'm drunk, can't hassle the police, Doctor's Surgery is closed as is the Children's Centre...I know I'll go and pound on the Vicar's door!" Our children can't answer their own front door for fear of who to expect and in what state, they get left terrorised in their beds whilst the bells and door knocker declares the presence of a caller that remembers that 'Priests are never off call.' We are now having to install CCTV to protect them and enable them to confidently open the door to friends. Looking at the wider picture, these figures should provoke us toward serious thought about how we pastor the Pastor. It's not something many vicar's expect - surprise them! But please give your vicar ample attention to their human needs before you consider to complain about something in the church, believing them able to be all things to all people. We can't be all these things to all people. That's why our burnout rates are so high...some clergy believe it's indeed possible...until it's too late. And that's another problem, some clergy actively court more work as they seek to fill the need to be needed; filling the gap left by low self confidence and the sense of falling far short of the job specification. Another survey from the States in 2000 discovered that 61% of pastors would spend less time in meetings if they could, 37% would spend less time mediating conflict, and 34% would spend less time counseling. If they could gain that time, they would spend it in evangelism (58%); personal devotions (66%); sermon preparation (73%) and prayer (75%). Yes we need to pay plenty of attention to our pastoral duties, but we also need to remember that part of our pastoral duty is to our family. Too many of them feel cheated: cheated meals, cheated days out, cheated promises... just cheated... by us trying not to cheat the parish. Our church for part of last year had limited or no Administrative limited and by no fault of our wonderful Church Warden, limited or no shared leadership through that role. Often in such circumstances, the assumed responsibility gets shifted to the Vicar. Church leaders shouldn’t have to carry all the responsibilities for running their church. If they do, they have no opportunity to do the things they need to do to help their church or themselves grow. If you are on your church leadership team or PCC, take a look at how your church is structured and try to see if your own vicar or pastor is overburdened. More importantly, please make sure your church leader has their boundaries respected. Respect their day off. They may be on Facebook or stood in their kitchen, but that doesn't mean they are available. Remember that what you might believe to be a personal affair, will be experienced by your Priest as 'work' because as lovely as you are, you are still 'work'. That may just be the time that they have promised to their family...and whether it is or not family time, that time is theirs to call, not yours, so please leave them to it. What must be said is that this is not a hard and fast rule. Particular to the role of Priest is that emergency pastoral support offered 'outside office hours'. But it is important that just as 999 Accident and Emergency Services are being misused as a non-emergency out of hours doctors surgery haemorrhaging the system and causing it to be redefined from 'Casualty,' so too must clergy be given the right to define a genuine emergency from lesser crises. For that reason, mine isn't the only answer machine message that invites calls on Monday's for emergencies and bereavement funeral matters. I believe the experience of the vast majority of parishioners up and down the land is one where the level of 'out of hours' availability is honoured. One thing I need to make clear. As is so often misinterpreted in the blogosphere and Facebook, this is not a personal slight against any one individual in my parish at this moment. Nor is it a negative criticism of St Peter's. It is a general problem many clergy and their families silently endure; because of the great privilege and honour that comes of serving the Lord Jesus in full-time ministry, this subject remains taboo. But we need to be open and honest about this. In this relationship of ours, we need your prayers just as you deserve ours. I dared to share such feelings early on in my ministry when the contrast between my 'proper job' and Priesthood was still so fresh in my mind. I think the unsympathetic response can be summarised by these words "If you don't like it, jog on!" I've worked hard to get this balance right in my own ministry which will inevitably lead to many feeling I fall far short of expectations. Well I'm okay about that if God is. Every sympathy , agree with all you've said. I hope it feels better getting it down in type. Have no answers.But most clergy families feel the same. My husband goes running and swimming, not many parishioners can keep up :) Time for spouses...whats that?